Scarring is often an inevitable effect of surgery. The size and shape will vary depending on the type of procedure you have had. For cosmetic breast surgery this may be a small incision but some operations leave a much more significant mark. Some patients find this an unsightly effect that they wish to remove or reduce. There are some ways of having this done. Firstly, there are some creams and oils available to reduce the appearance of surgical scars. Over the counter oils can easily be purchased and applied to the area, and can also be effective for stretch marks. Similarly, gel pads can be useful for small scars as they can lighten the colour so it is less visible to the eye and can also sometimes reduce the height of a larger scar so that it becomes less obvious. Gel pads are slightly more expensive to buy over the counter but can sometimes be prescribed by a doctor to avoid the fee. For some people, a simple cream or gel pad will be enough to reduce the scar to the required level. However, others prefer a more intense treatment for more drastic results. Scar reduction surgery can be done privately to avoid the wait, or you may be able to have the treatment on the NHS. 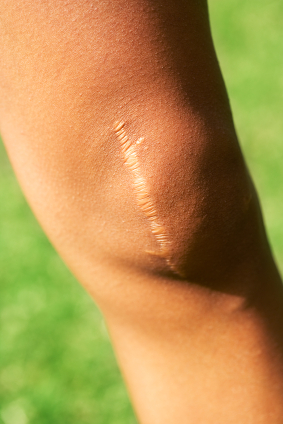 This will depend on the type of scar you have and from which procedure. Keloid scars must be removed with a very specific treatment that requires it to be carefully cut away. An incorrect procedure on a Keloid scar may cause it to grow back larger, thus rendering the procedure pointless. A chemical peel can be used to reduce scars. This treatment is not carried out exclusively for patients with scars, therefore you may find that a health and beauty centre will be willing to give you the procedure. However, it can also be carried out in hospitals, so you may be able to have the treatment with the NHS. You must have no pre-existing skin conditions for the treatment to be successful, and after the procedure it is likely that you will experience some irritation of the skin. If you are unsure of which course of treatment would be best for you, speaking to a doctor or other health professional will help you to decide. Discussing with practitioners offering private services, such as a chemical peel with a beauty centre, may be useful for specific queries about a particular procedure, but this may not be as useful for choosing between treatments. Discussing with a doctor will give you accurate information about which treatments are best for your individual case and which procedure your skin is most likely to respond to.